This moment had been years in the making. Guadalupe Martinez gave her oldest grandchild, Elaina, her high school graduation present. What was inside shocked Elaina. “I can’t accept this, grandma! It’s too much,” Elaina said with tears streaming down her cheeks. 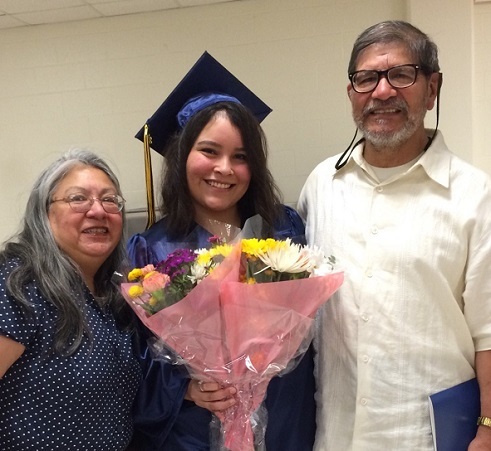 Elaina attended Washburn University, then finished her college career at the Washburn Institute of Technology, earning good grades and graduating debt-free … thanks to the 529 college savings account Guadalupe established. “Ironically there was $25 left in the account when Elaina graduated college,” Guadalupe said. “That was the amount I started the fund with when she was little. It came directly out of my paycheck. I increased the amount as I could. It all adds up! It was the best feeling in the world to see her come out of college without debt. Just a tremendous blessing! I have another granddaughter, Annalise, graduating high school this May and she also has an account." Guadalupe has seven grandchildren and started accounts for most of them as she was able. Although she is now retired and couldn’t open accounts for the youngest few, other family members are stepping forward to do so inspired by her example.